I am the flag, of the United States of America, My Name is "Old Glory." I fly atop the world's tallest buildings, I stand watch in America's Halls of Justice. Look Up! and see me! I stand for Peace -Honor - Truth -and Justice. I am confident - I am Arrogant - I am Proud. When I am flown with my fellow banners, my head is a little higher, my colors a little truer....I BOW TO NO ONE! I am recognized all over the world. I am worshipped - I am saluted. I am respected. I am revered - I am loved and I am Feared! I have fought in every battle of every war for more than 200 years: Gettysburg, Shilo, Appomattox, San Juan Hill, The Trenches of France, the Argonne Forrest, Anzio, Rome, the Beaches of Normandy, the Deserts of Guam, Okinawa, Japan, Korea, Vietnam, sands of the Persian Gulf......and a score of other places, long forgotten by all, but those who were with Me.....I was there. I led my soldiers - I followed them - I watched over them - They loved Me. I was on a small hill in Iwo Jima, I was dirty, battle worn and tired.....But my Soldiers cheered Me! I was Proud. 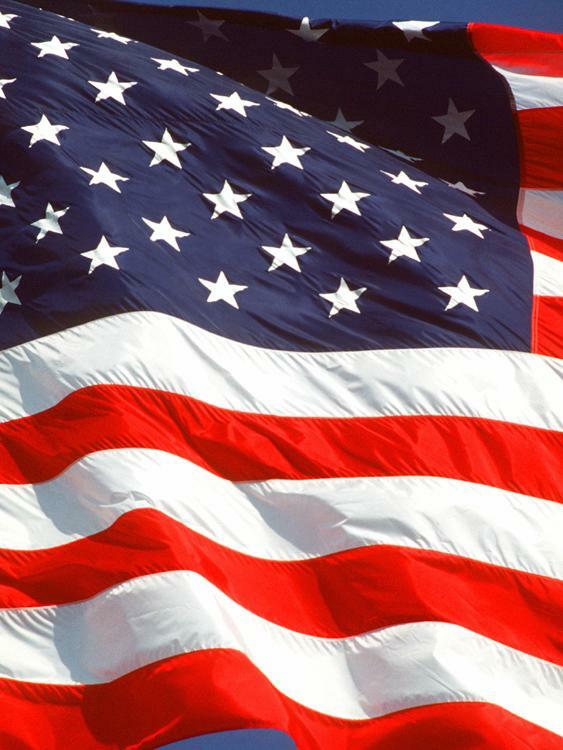 I am Proud....My Name is "Old Glory"....Long May I Wave.....Dear God, Long May I Wave.